Magnum of Pol Roger Sir Winston Churchill In Wooden Box - A Magnum of Magnum of Pol Roger Magnum Sir Winston Churchill (1.5 litres). 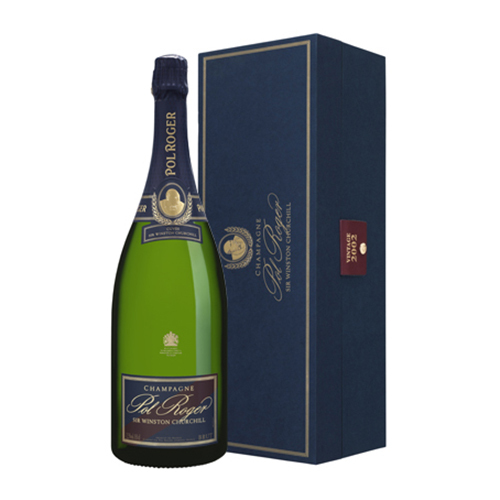 Pol Roger's Magnum of Cuvée Sir Winston Churchill 1999 Champagne was made in his honour. Sir Winston Churchill was Pol Roger's most illustrious devotee and customer. The blend is a closely guarded family secret but from tasting it is likely that the champagne features about 70-80 Pinot Noir with the remainder made up from Chardonnay.